Fuel system Integrated electronic engine management system. Indirect multi-point electronic injection. 57 mm diameter throttle bodies. Ignition Digital electronic ignition, integrated with the injection control system. One spark plug per cylinder. Lubrication system Dry sump with separate oil reservoir. Double trochoidal pump with oil cooler. Steel oil reservoir. Clutch Multiple disc in oil bath with patented PPC power-assisted hydraulic control. Metal braid clutch line. Radial master cylinder with 15 mm piston. Frame Box section sloping twin-spar frame in aluminium alloy. 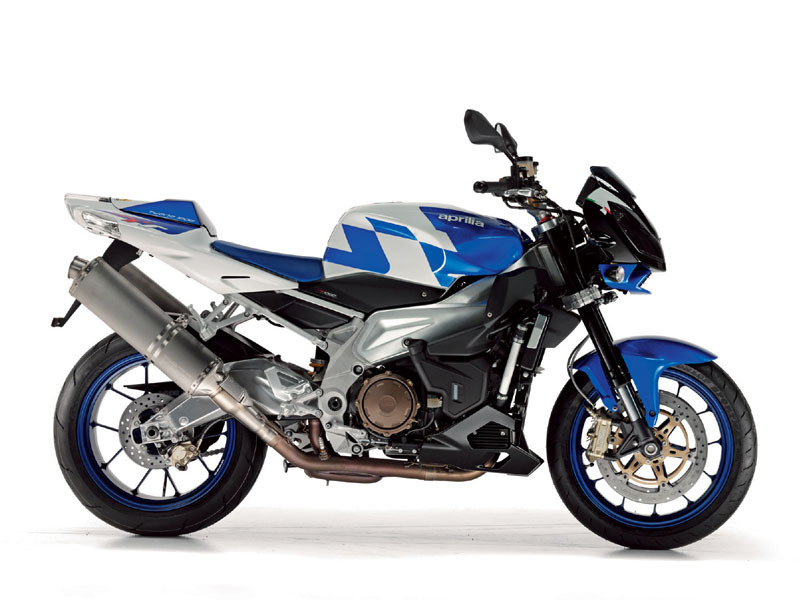 NOTE: On this page you will find ONLY Aprilia Tuono 1000 R 2008 motorcycles specifications specifications and details. We don`t sell this product.